Purcellville, Va. — Riverside High School freshman Marisa Cisneros swept the individual events en route to the all-around title at the VHSL Region 1-4A Championships at Woodgrove High School on February 8. 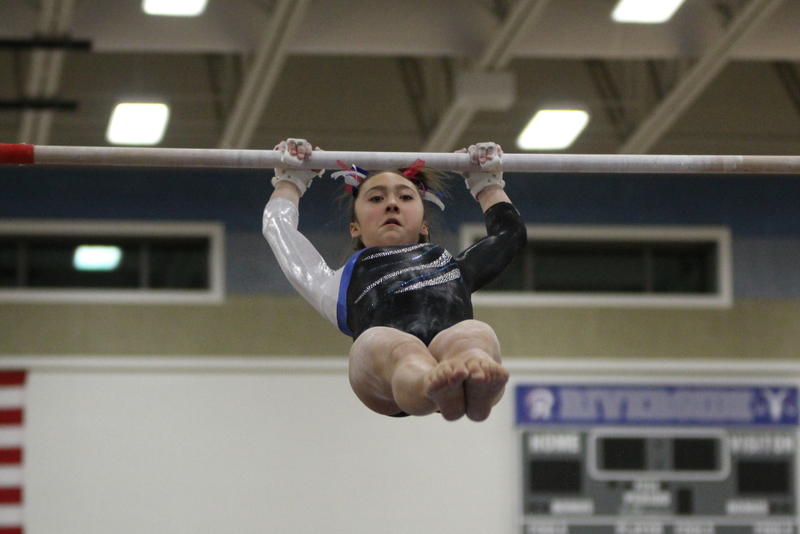 Cisneros scored a 9.800 on vault, a 9.575 on bars, a 9.675 on the beam and a 9.650 on the floor exercise to edge out Woodgrove senior River Stone in the all-around, 38.700-37.975. Loudoun Valley junior Jenna Haran (36.775) placed third in the all-around, leading the Vikings to the team championship over the Wolverines.